Support continues to pour in from around the country for H.R. 485, The National Nurse Act of 2013. The American Federation of State, County, and Municipal Employees (AFSCME) joined over 134 organizations and prominent individuals who have signed on the support letter being delivered to members of Congress. If your organization is interested in exploring how to add on to the list of endorsers please contact the National Nursing Network Organization's Board of Directors. On behalf of the 1.6 million members of the American Federation of State, County, and Municipal Employees (AFSCME), including more than 60,000 nurses, I write in support of the National Nurse Act of 2013 (H.R. 485). Your bill would enhance the critical role nursing occupies in our country's health care infrastructure by establishing a full-time National Nurse for Public Health. Preventing illness and promoting health across our nation is urgently needed as more than half of Americans are living with one or more serious, chronic disease ranging from type 2 diabetes to cancer. If unchecked, the current trend in chronic conditions will put today's children on a course to be the first generation in our country's history to live shorter less health lives than their parents. While many resources and coordinated initiatives at the federal and local level are needed to address the crisis, a National Nurse for Public Health will help strengthen capacity at the federal level. We thank you for introducing this legislation and for your attention to public health and public health nurses. 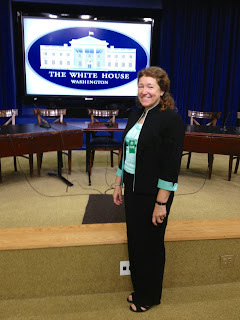 The National Nursing Network Organization was honored to receive an invitation from the White House Office of Public Engagement and Council on Environmental Quality to attend the July 9th Champions of Change ceremony at the White House, recognizing climate and public health champions. Thank you to Deborah Orre MSN, RN, who represented the National Nursing Network Organization at this event. President Obama has called on all Americans to take an active role on climate in their communities. Recognizing that we all have an obligation to leave our children a planet that is not polluted or damaged and to protect our children’s health, the President has put forward a Climate Action Plan aimed at slowing the effects of climate change and helping to prepare our communities for its impact. The ceremony, Protecting Public Health in a Changing Climate, honored Champions of Change-citizens, public health experts, medical professionals, and community and business leaders who are working on the front lines to raise awareness about climate-related health effects, take steps to reduce dangerous carbon pollution, and help better protect communities from the impacts of climate change. Approximately 50-100 participants were in attendance. 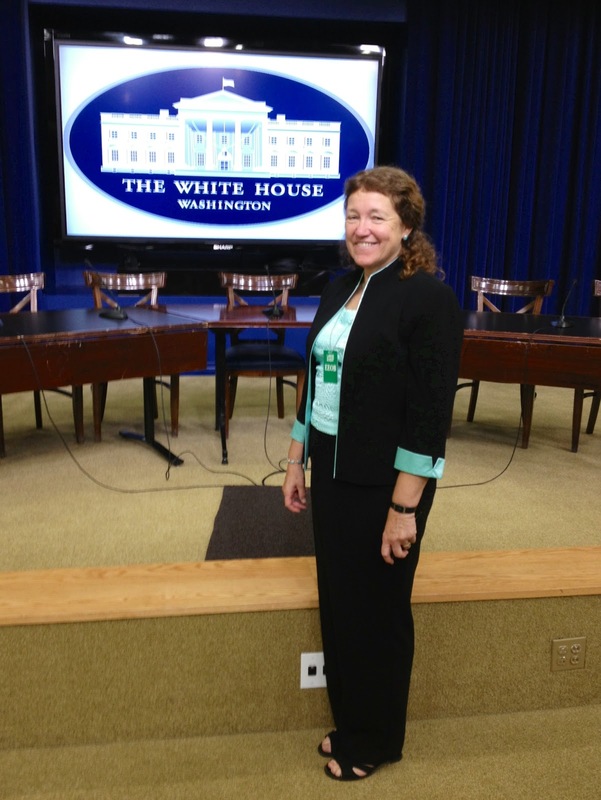 “To have been a part of such an auspicious group of stakeholders was such a privilege. I was able to witness an awe-inspiring discussion by a group of professionals on the public health aspects of climate change. Many disparate voices shared their creative ideas and solutions to this immediate and potentially devastating threat,” states Deborah Orre. A common theme repeated throughout the ceremony was the need to better message how important and inter-related our environment is to our health and wellness. It is important that these messages be better disseminated the public and especially our youth. As a national advocate for nursing actions to champion public health in all communities, the National Nurse for Public Health would provide leadership, encouraging health professionals to work with community programs geared at promoting a better understanding of ways to minimize risks associated with climate change. Congratulations on meeting at the White House. I see you are from BC. I grew up in Milton and graduated from Mary Hitchcock Memorial Hospital School of Nursing up at Dartmouth in Hanover, NH. Having worked for 40 years as an RN I still think that Diploma Schools of Nursing have the best training. Newsy is the latest news agency to publish information about H.R. 485, The National Nurse Act of 2013. The mission of Newsy is to accelerate the understanding of a news story. According to its website, Newsy "is the only video news service that allows users to compare news sources from around the world to see how a story unfolds. Newsy has rotating editorial teams that monitor each day's news. Their reporters research blogs, newspapers, magazines, television and scan the Internet. As part of that process, they utilize a proprietary technology to record and capture content which allows their teams to sift through hours and hours of media in an efficient way. Newsy is constantly on the lookout for new and fresh perspectives, always searching for new ways to find information. After selection of sources, reporters begin to synthesize the final product. They work together to research, write and edit our stories, paying close attention to providing our audience with unique perspectives and analysis of the differences in coverage. Stories are then written by a diverse team of people with many voices working together to create a unique final product." Please take two minutes to watch this video produced by Newsy, National Nurse Proposal to Revamp Chief Nurse Officer. The piece is accurate and there are several informative segments that will help viewers gain a better understanding of what is being asked for in The National Nurse Act of 2013.